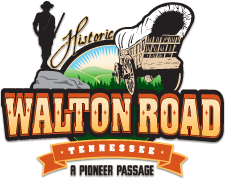 The Walton Road Scenic Byway is an appealing destination for families due to the variety of activities, ranging from outdoor recreation to touring heritage sites. 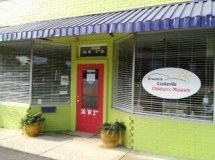 As a community-inspired museum, the Cookeville Children's Museum creates meaningful learning experiences through the joy of play in hands-on exhibits and programs. Managed and directed by the Crabtree family since 1965, the Playhouse is a four-theater complex with a professional company and staff of 16 and more than 100 visiting professionals and volunteers. Supporting the arts around the region, the Playhouse focuses on the “homegrown part of rural America,” with works based on Tennessee and Southeastern history and culture, as well as Appalachian themes. The Playhouse is one of the ten largest professional theaters in rural America. There are 82 State Natural Areas designated by the state and managed by Cooperative Management Agreements and other local, state and federal agencies. 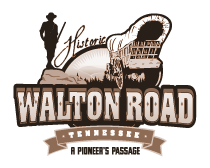 Walton Road Scenic Byway is replete with natural resources offering outdoor recreation opportunities throughout the picturesque landscapes of the Cumberland Plateau. 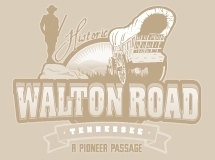 Learn about The Walton Road’s important story and deep history.